One would think that Morocco is headed towards better times, especially as the king promised constitutional reforms last March. There also seemed to be an air of openness in state-society relations. Even after the Argana bombing in Marrakech, state authorities showed a measured response to the terrorists act far short from the wholesale arrests launched after the 2003 bombings in Casablanca. Those were promising indicators of a nuanced state approach to civil society and protest movement's demands for democratic reforms. However, events in the last two weeks suggest a determined state retreat from early progress, and a shaky commitment to meaningful reforms. Two weeks ago, widely read and contentious columnist, editor in chief of the daily al-Massae Rachid Nini was arrested by state forces and is in prison on charges of "offense against national and citizens' security." The vagueness of the charge only masks the true nature of the indictment against Nini, for he has been rounded up for the totality of his critical stances of the government, and at times vociferous comments against immorality in Moroccan politics. Nini's daily column "shouf-tshouf," (in Arabic: شوف تشوف) has in the past talked about taboo subjects from the health of the king to the transgressions of the security forces in Morocco. He faced hefty fines, notably an exorbitant 6 million MAD (approx. US $500, 000) in 2008, knife assault in Rabat, and a near exodus of several members of the editorial team of al-Massae. Now his social commentary has become too much of a nuisance for the authorities. I have long thought Nini to be a populist, vitriolic and at times, a misguided journalist. However, this should never serve as a pretext to silence what ought to be the expression of freedom in any society. 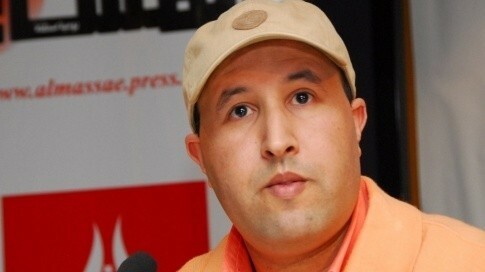 Charges against Nini are similar to those leveled against other fiercely independent journalists in the Moroccan press. Last year, Abu Bakr Jama'i saw his Le Journal bled to death for similar offense of upsetting the power that be. Morocco's attempt to shed the relics of past limitations on associational and informational freedom has long been beset by unease towards the press' increasing criticism of the state. Reforms or project of reforms has to start at the altar of the press as a watchdog for the travails of state-society negotiations. The state cannot claim reform and change on one hand, but continue to brutalize society on the other. Today's violent state repression of the protests near the purported detention center in Temara (5 miles southeast of Rabat) is yet another setback. Dubbed by many protesters as Guantemara for alleged torture of political prisoners, the mere alleged existence of the secret detention center indicates a reversion to the mindset of intransigence towards legitimate demands for change. The detention center is a definite reminder of the notorious "years of lead" of the ancien régime that should forever be cast in the ash heap of Moroccan history. Great article.i wonder y th moroccan crisis isnt getting much coverage on int'l media..th arab spring mustnt regres bak to winter! I agree with you that there is little coverage in internatioal media, given the events in Syria and Libya. I hope this blog and others can help fill the void.